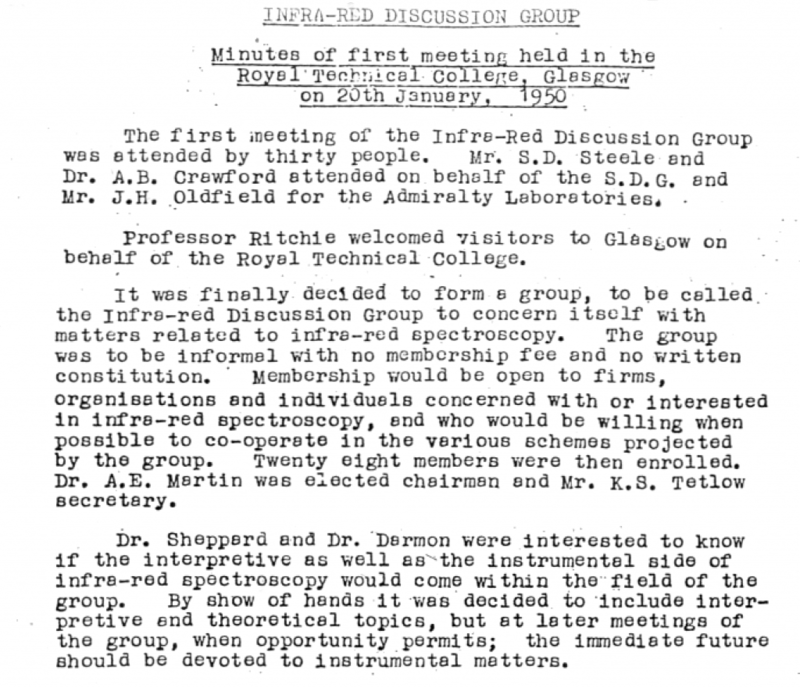 The Infrared and Raman Discussion Group, usually referred to as the IRDG, was formed in 1950 and is one of the oldest independent spectroscopy groups in the UK. It is the national organisation which caters for all who are interested in the theory, practice and teaching of infrared and Raman spectroscopy. Members of the group come from industry, government and academic institutions.